We’d like to thank you all for your support, friendships, and patronage over the past seven years. It was a very difficult decision; however the stress and the routine of running a small business has worn us down and we now need to focus on health and well being. We entered this venture with a great passion for camping, the community, the customers and we’re proud of what we have built. It is our hope that we have created something that has had an impact in the community and will have a lasting effect for you all as it has for us. We set out to create an inclusive space that celebrated and welcomed everybody. Thank you for sharing seven very important years with us. The good news is that Spry Bay Campground will go on. The new owners, Janice and Gordon are committed to maintaining SBC as a campground & convenience store to serve the community and the many visitors to this beautiful region. 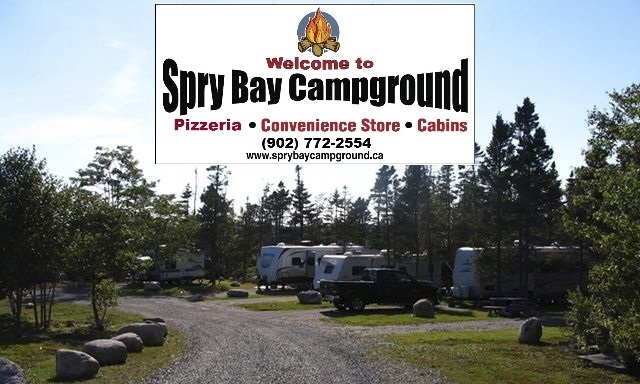 We hope you’ll join us in welcoming them and continue to support Spry Bay Campground as you have.